Not going to lie guys, ever since Matthew and I set our wedding date for October, I've been trying REALLY hard to look and feel my best. That means, eating a clean diet and exercising regularly. Now I know what you're thinking…"Jen, it's 6 months away!" but you know the saying, 'Summer bodies start now!' So for me if I do indulge here and there, which I absolutely plan to, it will be easier for me to get back on track. Instead of stressing out a month before the wedding when my dress isn't zipping up. Know what I mean? 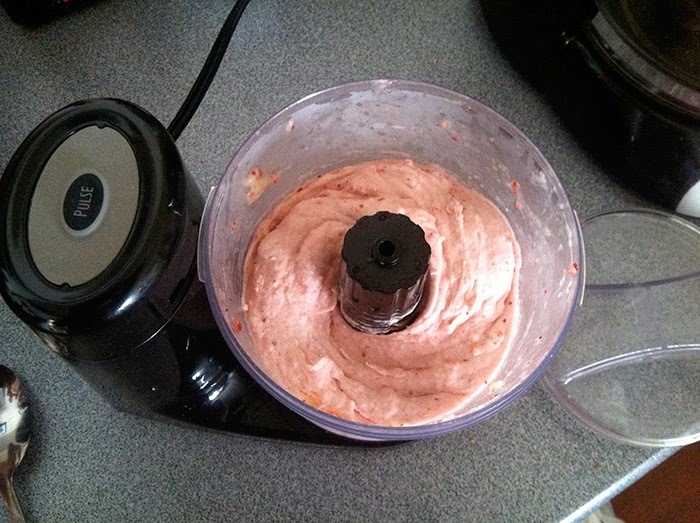 Start off by blending a frozen banana and about a 1/2 cup of frozen strawberries into a food processor. 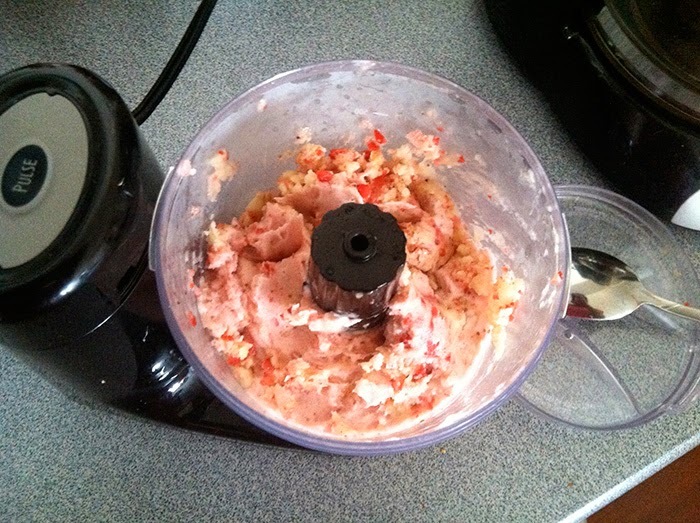 Make sure you are constantly blending, however be sure to stop and scrape the sides down so that everything gets mixed. I also added a dash of almond milk (not the Cointreau, although I can't see that being bad) to help it out. It may look hopeless, but I promise you'll get there. 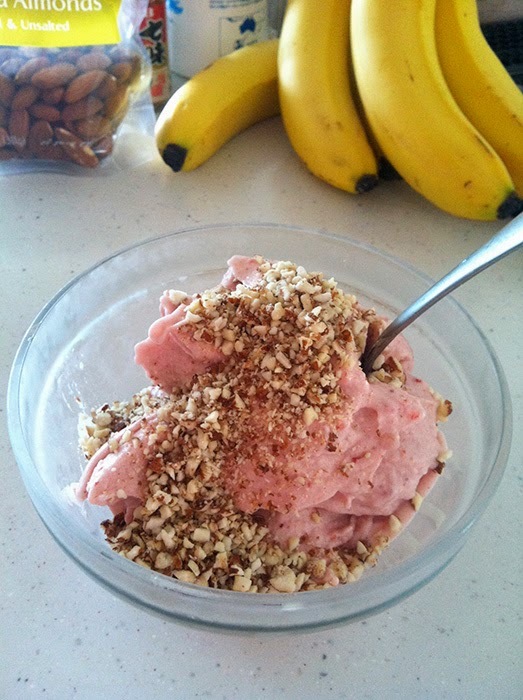 The end result is this delicious, CREAMY, soft-serve like texture and completely satisfying. 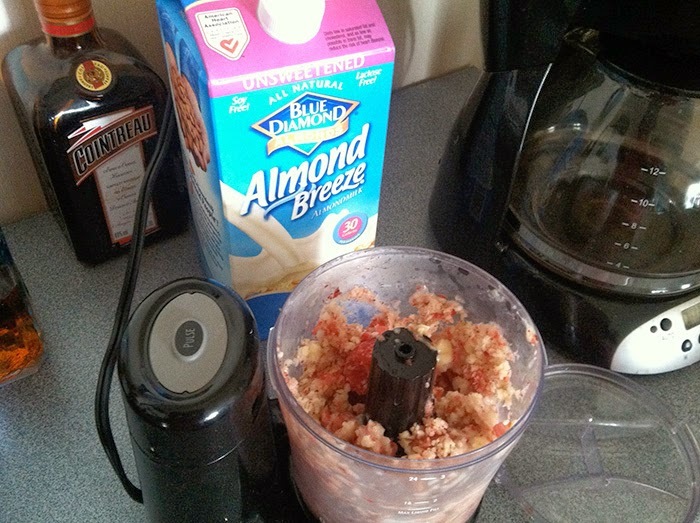 I also added chopped almonds because I am all about different textures. Breakfast, lunch or dinner? Check, check and CHECK. Hope you enjoy and let me know if you try this out! YUM!! I will definitely be trying this out! Thanks, Jen! And yes - you are doing it RIGHT. 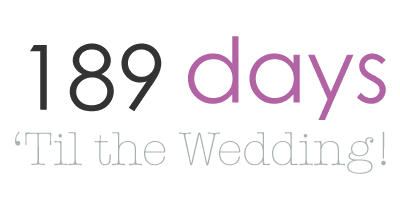 I wish I'd started 6 months before my wedding instead of being like, "Oh hell...I have 29 days to lose 20 pounds"! Plus I can't anyway b/c the dress fitting is DONE! Crumbs! You're definitely in the right mind-set, little lady! I bought a bag of frozen fruits in the freezer aisle. 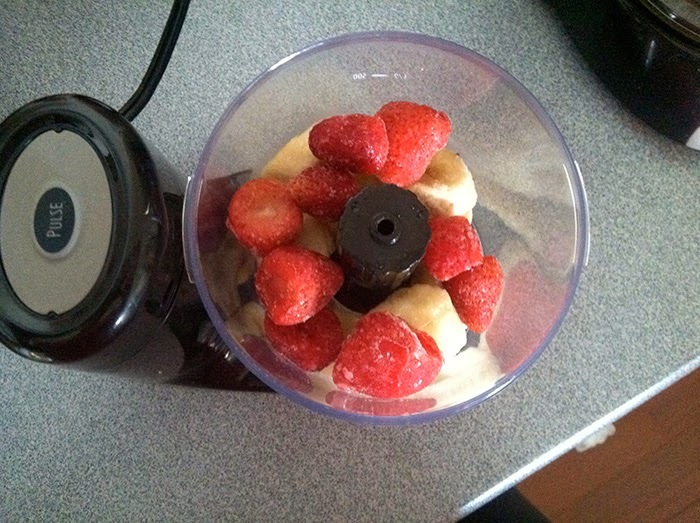 i have been making these smoothies and love them. They fill me up. I use the Dole package fruits. I hope this is ok!